Go for future-proof planning and outstanding Wi-Fi with Wave 2 technology (Wi-Fi 5). 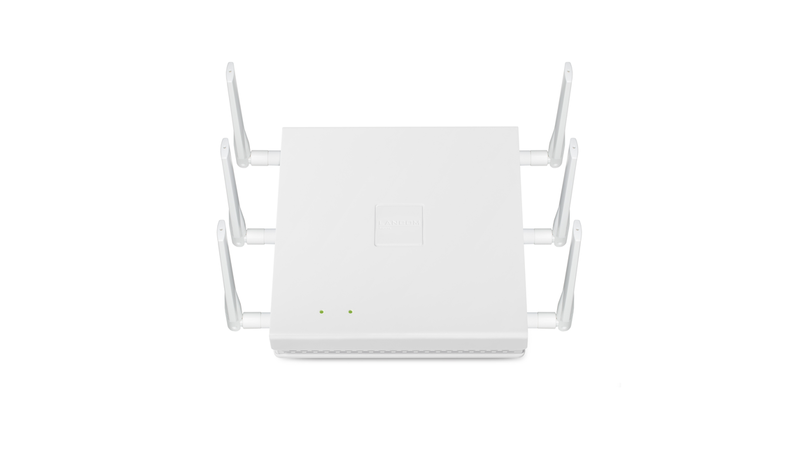 Especially in large-scale infrastructures where numerous concurrent users demand stable and high-speed Wi-Fi, this high-performance access point offers optimal signal coverage. Even winding corridors are supplied with high data rates, made possible by external, directional antennas. Reliable wireless networking even in high-density environments is an essential factor for keeping customers and visitors satisfied. Reason enough for you to trust in reliable and secure Wi-Fi “Made in Germany”.